I absolutely love these products!!! I was suffering from extreme mouth pain and jaw pain. My wisdom teeth were coming in and everything was inflamed. 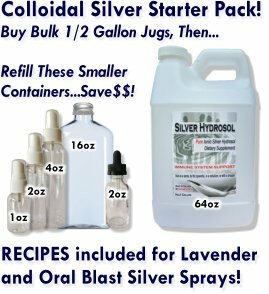 I drank colloidal silver and the pain has subsided and now a week later is completely gone. I love the mouth sprays!! They are so convenient and effective. I was having teeth issues, from what i believe to be cavities and using these sprays i feel immediately the therapeutic and healing effects. I'm going to continue to use the sprays long term. I love how each one has its own unique affect and taste. It has helped me immensely with my busy schedule, being able to stay healthy abs pain free in my mouth. I feel a great improvement since using these products and will definitely be recommending Ron's products to other people with similar problems, because i know they will be completely satisfied. It is totally worth it, and i am forever grateful this was introduced into my life!!!! Such a life saver!!! Not to mention i haven't gotten sick once or had allergy symptoms since drinking colloidal silver! !